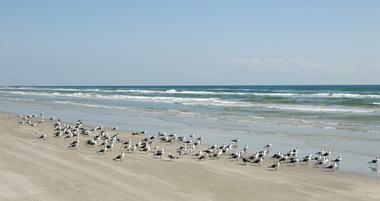 South Padre Island is nestled on the Gulf of Mexico, near Brownsville, at the southeastern-most tip of Texas. Because the island is only a half a mile wide, you can see beaches from nearly any vantage point on the island. 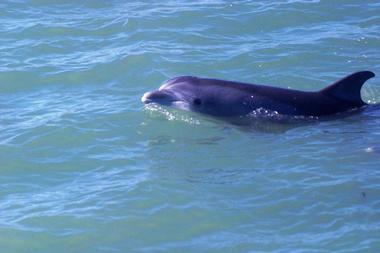 There are ecological tours, dolphin sightings and peaceful walks along the sand. 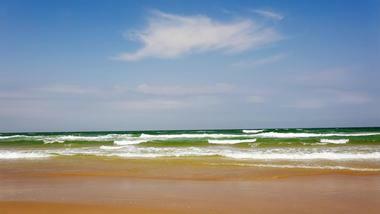 South Padre Island, TX is a choice destination for honeymooners, couples and families. Sea Turtle Inc. was formed to protect and recover an endangered sea turtle species. Since then the mission has expanded into three: Education, Conservation and Rehabilitation. Donations keep the doors open, the turtles cared for, and the educational programs afloat. Even without any government assistance, 1/5thof the income is used to fund conservation projects involving sea turtles worldwide. Sea Turtle Inc. provides college scholarships and a summer internship program for biology students. It rescues, aids, and releases injured sea turtles and assists with conservation efforts for all marine turtle species, all while endeavoring to educate the public. The family-friendly Life Center offers boat tours to see bottleneck dolphins, field trips, and a hands-on experience which lets guests become familiar with creatures they may have never met before including: fish, crabs, octopi, snails. This is Rio Grande Valley's top destination for birdwatching, and an ideal place to observe butterflies and natural wildlife in coastal South Texas. You can walk down the boardwalks; take a birding tour; and experience the nature center. The butterfly garden is full of fluttering visitors from summer to late fall, when the Monarchs arrive. Any number of varieties of warblers arrive in the Spring. Orioles and numerous species of hummingbirds and other species are forced to land here because of severe weather during their migration routes. Experience the wonderful views of the Buff-bellied Hummingbirds, the Wood Stork and countless warblers. Brown Pelicans, White Ibis, Great Egrets, Great Blue Herons, Red-winged Blackbirds, and many other species of birds reside here year round. South Beach begins where the paved road ends. This national park has 60 miles of beach you can drive on. South Beach ends at the Port Mansfield Channel. Texas beaches are public highways, so all traffic laws apply, and all vehicles traveling on Padre Island National Seashore must be street legal and licensed, including ATVs because The National Seashore uses ATVs to patrol for nesting sea turtles in the park. The driving conditions at the beach are constantly changing due to the currents, winds, and tides. Toilets and cold-water showers can be found at Malaquite Pavilion. Enjoy birds, turtles and other beach wonders without distractions. Southern Wave's 48’ custom-built Catamaran is a safe way to experience state-of-the-art sailing while enjoying the beauty of South Padre Island and the Gulf of Mexico. In addition to Dinner Cruises and Snorkeling trips Southern Wave rents out Kayaks, Paddle Boats and Paddle Boards. Catamarans have a double hull construction and flotation devices which make them almost unsinkable. Our experienced personnel help rookies and the experts alike on the snorkeling trip. All snorkeling gear is provided for the 4 hour snorkeling trip, as well as a delicious lunch. Enjoy a memorable day of sailing, an afternoon of dolphin watching, or an evening of beautiful sunsets on one of the famous dinner cruises. Isla Blanca Park is a state park, surrounded by the Gulf of Mexico, the Brazos Santiago Pass and the Laguna Madre. For day trips, there is ample parking and excellent bathroom facilities. For longer stays, it offers over 500 RV spots. Walk out on the jetties to see surfers, shrimp boats, cargo ships, dolphins, and the enormous Cristo De Los Pescadores statue. Sea shells abound for collecting. Three restaurants are within walking distance from the park. The park features a fishing area and a bait shop. It is a clean, well maintained park with a wide paved trail around the 1 ½ mile perimeter of the park which is perfect for walking, jogging or biking. The Laguna Madre Nature Trail is a boardwalk that runs from the South Padre Island Convention Center to the Laguna Madre wetlands. 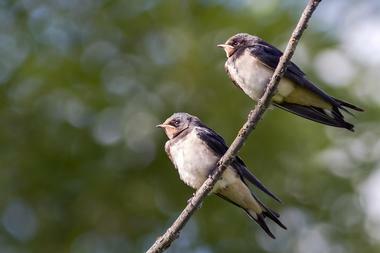 This is a great place to see almost 300 species of birds. The Laguna Madre Nature Trail is open 24 hours a day and there is no charge. Visitors rave about the diverse amount of animals they were able to see on the Laguna Madre Trail, especially all the alligators and the different varieties of birds. The Laguna Madre is a hyper saline lagoon. It is saltier than the ocean, one of only 6 such lagoons in the world. It is the nesting area and home of many creatures found nowhere else. Experience the most popular waterpark, a 25 acre attraction, in the Rio Grande Valley. Enjoy the best waterpark attraction in the Texas Gulfcoast region. Roar down 13 amazing indoor and outdoor water slides, or float down one of the river systems. The resort includes lodging, great Gulf beaches, wonderful dining experiences, and unlimited use of both the indoor and outdoor water features. Seasonal packages are available for the whole family. Plan a weekend getaway. Enjoy a fun filled day; then stay the night in a room just steps away from the beach with the best indoor water attractions in the area. Ride horses, enjoy the Zip-lines and the petting barn. 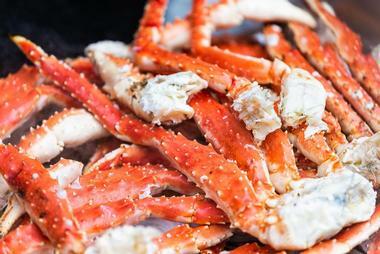 Take a hayride on the beach, swim in the ocean, then end the day on the beach with a luau menu and a bonfire. 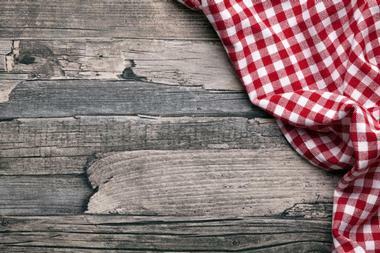 Birthday parties are a specialty, with ponies and barn animals, hotdogs and refreshments. This park specializes in special events and parties, just tell them what you want, and it will be organized for you. Groups of all sizes are welcomed. With the state-of-the-art quick zip-line transition system, you will be able to go around the circuit as fast, or as slow as you want to. There are several horseback riding opportunities available: a 10 am morning 1½ hour walk along the beach or 3pm, evening, and night-time tours for horseback riding enthusiasts. 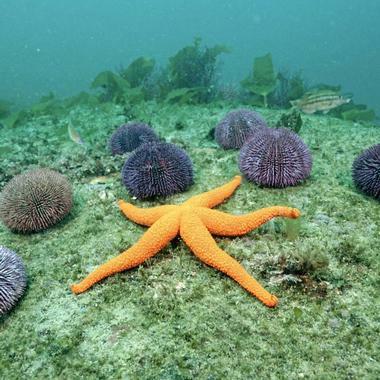 The Coastal Studies Laboratory located on South Padre Island was established in 1973, and provides educational opportunities, research and community outreach about coastal concerns in the Gulf of Mexico with an emphasis on the South Texas region. The Coastal Studies Lab is open to the public Monday - Friday 1:30 pm to 4:30 pm for self-guided tours, to see marine aquaria with local fish and invertebrate species. There is a touch tank, as well as sea shell collections featuring shells found locally and elsewhere around the world. There are nature videos and a gift shop. No admission is charged, but donations are accepted. School groups can arrange to visit the Coastal Studies Lab Monday through Friday 9:00 am to 1:00 pm. The group sponsor should visit www.utrgv.edu/csl for details and pricing on guided tours. 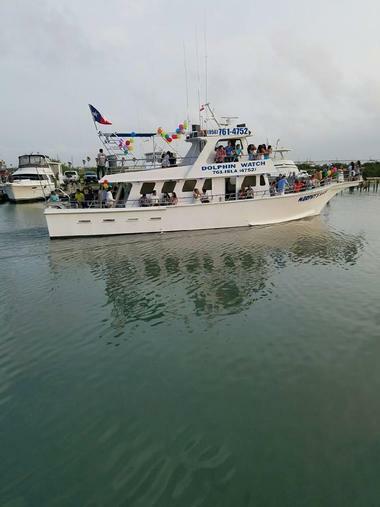 A great way to enjoy South Padre Island from the water is to board one of the six boats in the Osprey Cruises fleet. Each boat offers a different adventure. The luxury passenger cruiser will take you on a leisurely dinner cruise and serve fresh seafood and excellent drinks while the sun is setting. You can go sightseeing and dolphin watching, while learning about the ecology of the Texas Gulf Coast. Spectacular Black Dragon sailboat will show you how pirates lived, fought, and looked for treasure. The Thriller speedboat will take you on an adrenaline-pumping trip around the local fun spots at 50 mph, while dolphins ride the Thriller’s wake – they love speed too. All boats leave from Pier 19. South Padre Island, Texas is one of the rare places in the United States where you can learn how to make a great sand castle. 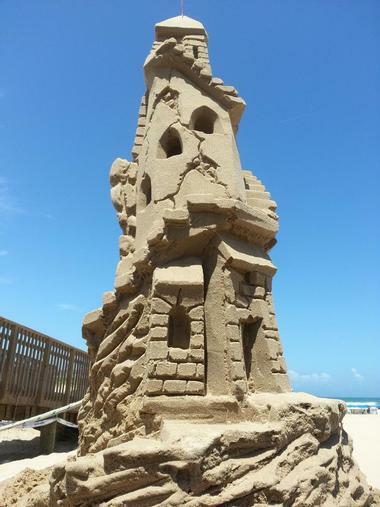 The magnificent beaches of South Padre Island have a number of professional sand sculptors who have decided to help people have more fun on the beach by offering lessons in sandcastle building. There are beginners, intermediate, and advanced classes. The instructors meet you on the beach of your choice and bring all the equipment – there is more to it than just a plastic bucket. The classes last from one to three hours, and you are guaranteed to have fun and learn a few tricks about working with sand. You will never be embarrassed by your sand castles again. 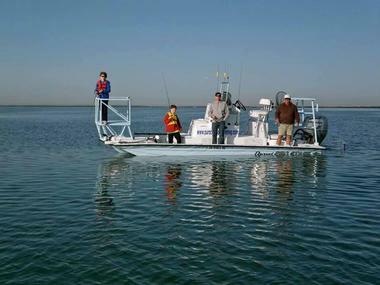 Fins to Feathers offer small group tours of Laguna Madre Bay aboard their vessel Laguna Skimmer. The tours are run and narrated by Captain Ford Locket, who has been sharing his love of all things wild with guests since 1997. His dolphin tours are very special experiences because the dolphins know his boat and literally come to play with him, much to the delight of those watching. When taking tours with bird watchers, the boat approaches the birds’ habitats slowly and quietly so that the birds are not disturbed and continue with their natural behavior. 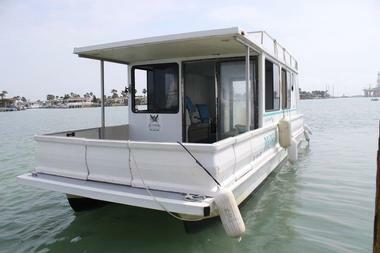 The captain will share his knowledge of South Padre nature and history with you, and after the trip with Fins to Feathers you will understand more about the need for conservation and protection of the wild places. 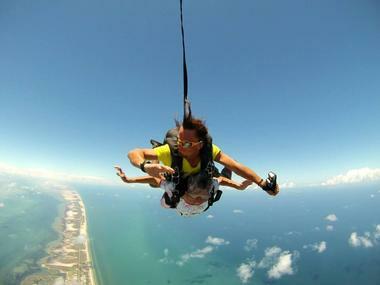 There is probably no greater adrenaline rush than jumping from a perfectly good airplane flyint at 11,000 feet. The views of South Padre island and the ocean are certainly spectacular, but once you jump, for about 60 seconds you are falling at speeds of almost 150 miles per hour and you do not have the time to take in the view. Then at 5,500 feet your parachute opens and you cruise for about seven minutes over the island. You can look out on the sea and feel a sense of total exhilaration as you soak up the sights you cannot get in any other way, until you land on the sand. Skydives are done in tandem, and you will be harnessed to an experienced skydiver who has taken thousands of jumps, so there is no training necessary and you will feel perfectly safe. When the kids, or you, get enough of sun, sand, and swimming, head to Gravity Park. Located just a few steps from the beach in the heart of the entertainment district of South Padre Island, Gravity Park is a local amusement and adventure park with a range of fun attractions for the whole family. 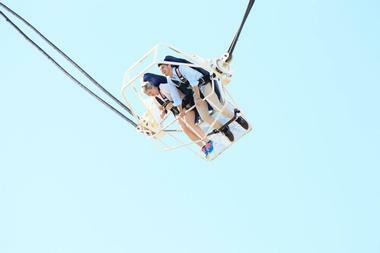 Their reverse-bungee called the Rocket is considered the tallest in the world. There is also a Skycoaster, a roller coaster that will show you the best view of the island, unless you jump out of a plane. There are go-carts for adults and for kids, mini-golf, an arcade, a trampoline, and a climbing wall. Every Friday and Saturday night, from Memorial Day to the end of October, fireworks light up the night on South Padre Island. The best place to watch them is aboard of Isla Tours’ party yacht Murphy's Law. Their party cruise starts with a dolphin watch, after which you enjoy the glorious sunset. After the sun goes down, the party really heats up. The captain turns on the party lights, a live DJ pumps up the volume, and you can dance to your heart’s content. Then the captain anchors the boat so you can watch the fireworks exploding all over the night sky. Isla Tours also offers eco-tours, Port of Brownville tours, and deep sea fishing trips. Seeing dolphins while on South Padre Island is a must, as it is one of the rare places where you can get close enough to them. There are few pods of bottlenose and spinner dolphins that live permanently in the area, and when you’re aboard the 60’ cruise boat the Double Sunshine with experienced guides like those with the Original Dolphin Watch, you can watch them play and feed as they follow the boat. Dolphin Watch offers light refreshment and a well-prepared presentation about dolphins while you are cruising to Devil’s Elbow. Dolphin Watch also organizes snorkeling trips to the Laguna Madre Estuary where crystal clear water from three to six feet deep is perfect for any ages and abilities. 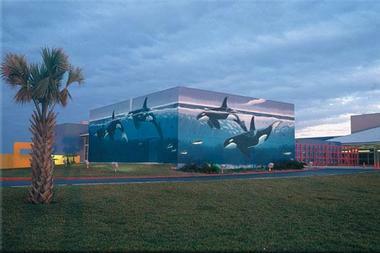 The magnificent, enormous, life-size paintings of orca whales on South Padre Island Convention Center are part of the worldwide campaign Wyland’s Walls, organized by the renowned painter Wyland and the Wyland Foundation, who had the goal of completing 100 life-size marine murals in public places around the world. They completed their goal in 2008 after 27 years. The murals are meant to encourage greater understanding of and appreciation for aquatic habitats and the aquatic life. The life-size paintings are supposed to change people’s attitudes about marine conservation worldwide. With its Wyland Whaling Wall #53 “Orcas off the Gulf of Mexico,” South Padre Island is proud to be one of the 79 cities in 17 countries and 5 continents to raise its voice for marine conservation in this unique way. Queen Isabella State Fishing Pier is located in the park in Cameron County on the southern side of South Padre Island. The crowning glory of the lovely one-acre beach park is an old fishing pier, which used to serve as a causeway that stretched across the bay until the new bridge was constructed in the early 1970s. A central part of the original causeway has been removed, and the portion of the causeway on South Padre Island has been named the Queen Isabella State Fishing Pier. It became a part of the Texas Parks and Wildlife Department, which turned it into a fishing pier where fishermen can catch sand trout, speckled trout, croaker, sheepshead and other fish. 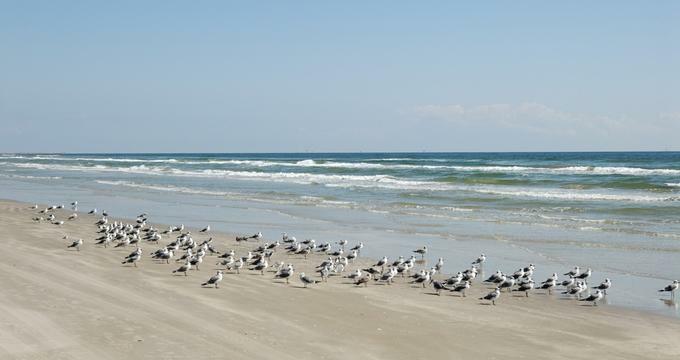 Andy Bowie Park, located just across from the South Padre Island Convention Center on the north side of South Padre Island, is a lovely beach park with 20 miles of hard packed sand that is popular among off-road drivers – driving on the beach is permitted. It is stretched along the Gulf of Mexico and has two large picnic pavilions on the beach side, food concessions, BBQ areas, RV sites, beach equipment rental concessions, a swimming area, a fishing area, restrooms, and showers. You will also find a flagship hotel and a number of condo developments all around it. Andy Bowie County Park is only about five miles from Isla Blanca. 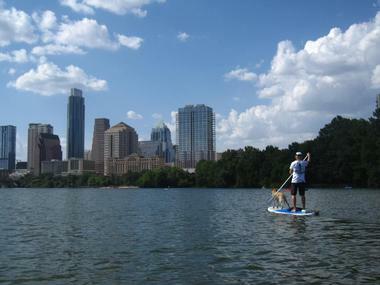 A fun way of exploring Laguna Madre and watching for turtles or dolphins is on top of a paddleboard. 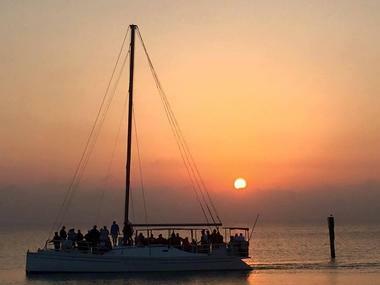 Even if you have never done it, count on the experienced guides of Eh Brah to show you the ropes and take you on an adventure on the calm, warm waters of South Padre’s Laguna Madre. Or, if you are an experienced paddleboarder, you might want to try the rougher waters of the Gulf of Mexico. You can go in the morning with a bunch of friends or family or watch a stunning sunset from your board. Your guides provide everything: life preservers, booties, bottled water, and even sunscreen. The tours take about an hour and a half, and you can bring your dog aboard. Eh Brah also offers surfboarding lessons and sells boards and other equipment. South Padre Island is famous for its fantastic fishing locations. Whether you're a tourist wishing to experience south Texas fishing, a beginner, or an experienced angler, your best option when it comes to fishing the waters of South Padre Island is with Captain Fleming, who knows all the best spots better than anyone else. When visiting South Padre Island, South Padre Island Water Sports is the place to go to learn any of the watersports you always wanted to tackle, but you either never had time or were afraid of it being a bit too challenging. Their experienced instructors will respect your pace, have patience with you when things do not go well, work with your schedule, and put your safety above everything. Whether you are interested in learning kayaking, kiteboarding, surfing, flyboarding, stand up paddleboarding, skimboardingm or boogie boarding, they will provide you with excellent training, reliable equipment, and loads of fun. You can also rent equipment from them and take off on your own if you are already experienced in any of the sports. All trips leave from their private boat ramp, which drops into the calm waters of a protected channel. It is a well-known fact that the best way to explore a new place is by walking through it. But, with SegVAlley Tours, you will ride a Segway and get the best of both worlds: you can be close to the ground to really see and feel the place while moving through the area quickly in order to see as much as possible. Their special off-road vehicles can tackle anything South Padre Island has to offer: sand, dirt, and grass. You can choose to go on a tour of 25 famous South Padre sandcastles – sand sculptures scattered all over the island. 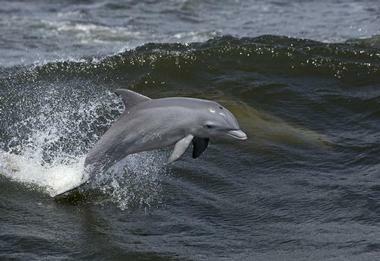 Alternatively, you can glide for an hour through the southern end of South Padre Island on a 7.2-mile loop through Isla Blanca Park where you even may spot a pod of dolphins frolicking in Dolphin Cove. If you want to see a bit of everything, take your mighty Segway X2s on an hour and a half tour through the town before you hit the beach and take off across the sand. You can get Great views, have lots of fun, and you will even stop at the Donut Hole.